Spice up your bathroom this year with some fabulous sink faucets that look more like pieces of art. 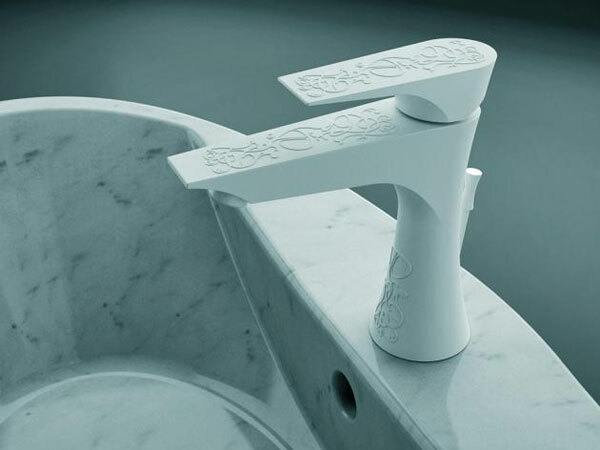 These sink faucets made by Italian manufacturer Daniel Rubinetterie are created with a technique that consists of embossing various graphics onto paint-sprayed faucets. The result is modern and elegant at the same time. Take your sink to the next level in terms of style with a sleek, swan-shaped kitchen faucet created by Brizo. 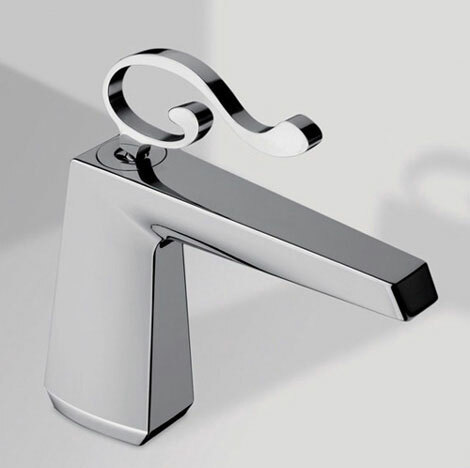 The graceful faucet has a timeless quality we love. Faucets definitely don’t need to be boring, and this one, with an eye-catching curved design and piping made from zinc, lead, cadmium and copper, is far from it. Handles made from Swarovski crystals add a touch of sparkle. While interesting details have their place, sometimes the simplest designs can be the most artistic. Case in point: This sink faucet looks great without needing any extraneous features. An electronic ring changes color as the water temperature changes. We were instantly intrigued by this design — a gorgeous modern faucet on one side and a handy container on the other. Use it for anything from a fresh flower to a spot to keep your sponge. 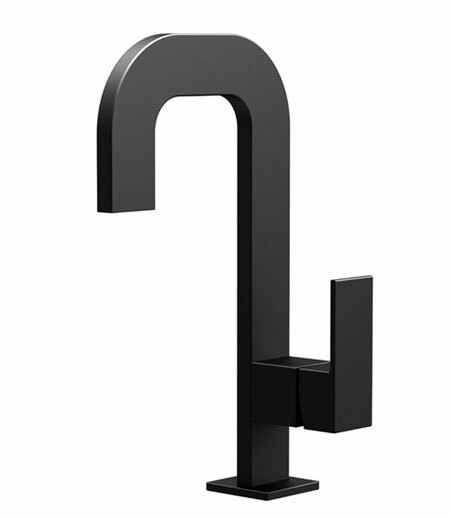 Looking more like an industrial art piece than a faucet, we love the unique design of this sink fixture. The ergonomically designed faucet comes in several finishes, including pure chrome, matte black, polished nickel and white. 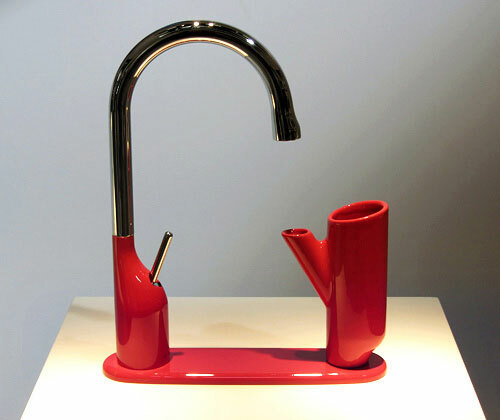 This widemouthed faucet puts an artful twist on how water flows from the tap. 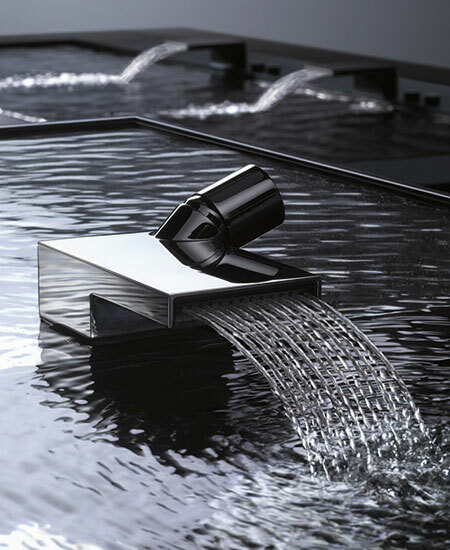 The sculptural shape and wide spout create a spa-like look with a hint of industrial chic. Make a statement in the bathroom with a sink faucet that gets noticed without distracting from the rest of the room. 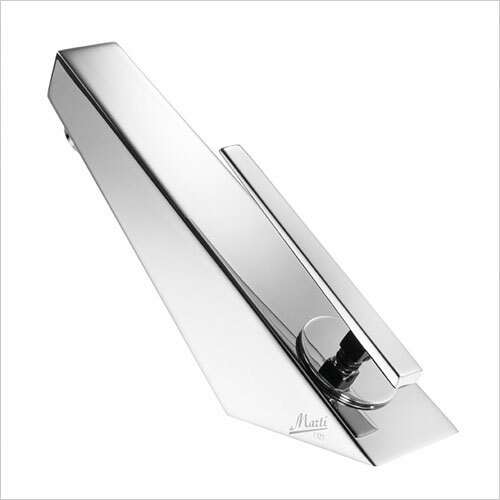 Clean lines and polished chrome finish combine to create a modern look perfect in any bathroom. 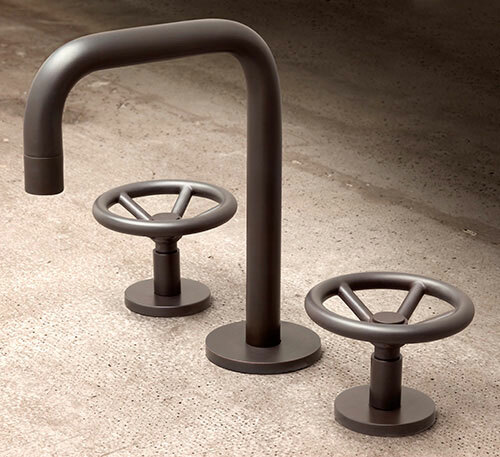 Give your bathroom an industrial look with a faucet inspired by midcentury gate valves. We love the soft finish and the old-fashioned shape that’s been given a modern upgrade. 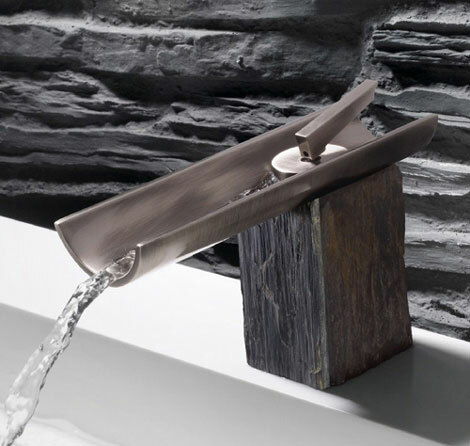 Inspired by nature, this stone and metal faucet combines modern design with a rustic look. The slate base is topped by a contemporary open-spout faucet. Choose from several metals in either a brushed or polished finish. 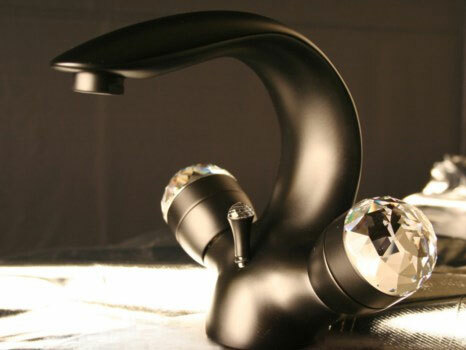 Add some elegance and a little bling to your bathroom with this faucet featuring luxe crystal handles. The matte black body highlights the glamorous Swarovski handles. 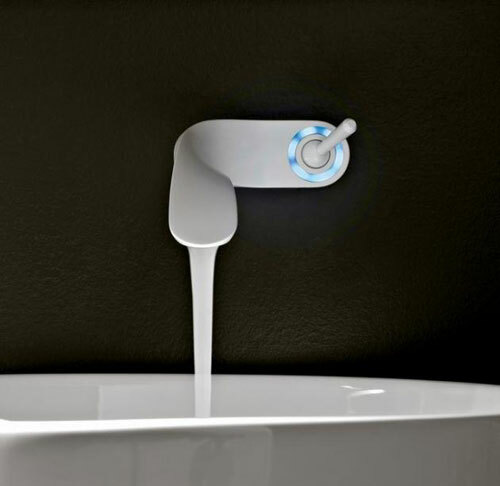 Light things up in the bathroom with the help of a funky faucet with an integrated LED light. 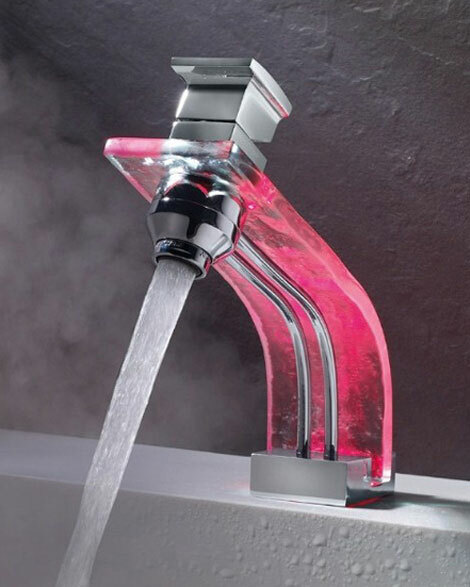 The clear body of the faucet is entirely lit up thanks to the LED light, which changes color depending on the temperature of the water. 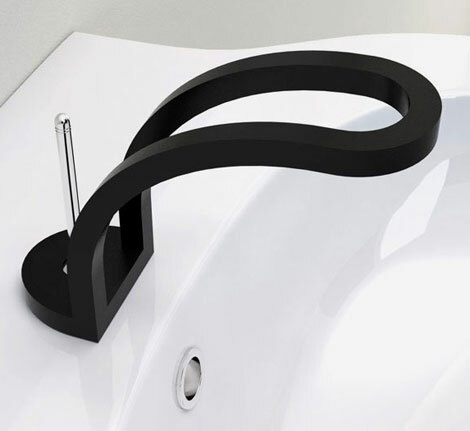 The coiled handle on this elegant faucet is functional as well as artistic. 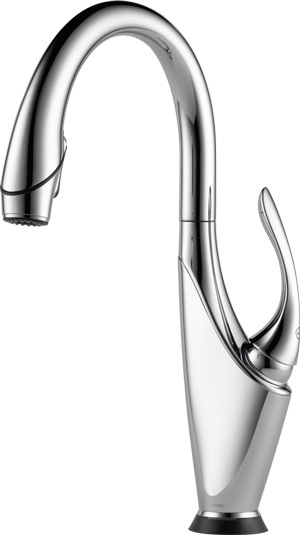 The otherwise simple design further adds to the faucet’s stylish sophistication. 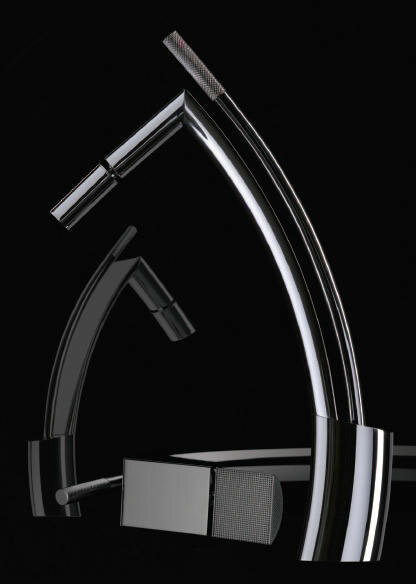 Bigger is sometimes better, and that’s the case with this contemporary faucet with a high arc design and chrome finish. It’s easy to update your bathroom when you choose a fixture with a completely unconventional shape, like this faucet with a unique design and flowing lines. 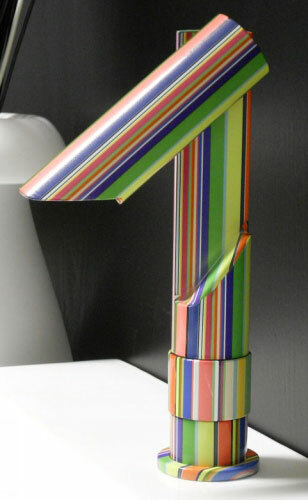 Instantly brighten up your bathroom with a faucet covered in multicolored stripes. Whether you’re looking to add color to your bathroom or just want to add an element of fun to the space, this modern faucet can help.